One of the first questions any business owner asks us about Internet Marketing is what they can expect to spend. This will be different for every business, there is no set rules. This article will explain what’s involved on the part of your Internet Marketing consultant for local small business owners who provide a service to a local area. By understanding just how much work is involved in getting your website found you might better understand why good SEO consultants are worth the money they charge. This advice and information won’t necessarily apply or be as effective for businesses who are selling goods online to a national or international market. Your SEO strategy will be quite a bit different. It’s amazing, no, actually it’s depressing how many professional web designers screw this up for their clients. There are many signals your website sends (or doesn’t send) to search engines and it all starts with how your website is structured. If this wasn’t done properly from the beginning then any professional SEO will likely recommend you have the site rebuilt by somebody who really does know what they are doing. Optimized title and description tags. Keyword targeted and useful content. Proper use of Images and ALT IMG tags. Proper use of H1, H2, H3 tags. Proper page names and permalinks. Many professional Internet Marketers will not work with a website they haven’t built so don’t be shocked if you are told you need to have a new website built when you start looking for an SEO consultant. If you built the site yourself, or had a friend do it, or someone on Craigslist… You’re going to be in for a shock. This is why it’s best to choose a web design company that is knowledgeable about Internet Marketing and can build your website with rock-solid “on page” SEO from the get-go. Doing all of these items on your website takes a lot of keystrokes and mouse clicks. It’s boring, repetitive work that you’re going to be billed for. Choose your web designer wisely or these basics might have to be re-done. This is much more than typing in your keywords into Google and seeing who ranks at the top. Professional SEO’s use special tools (that aren’t cheap) to do in-depth analysis on your competitors websites. No, this isn’t like that free website grader your friend sent you, these are real, professional tools. When we compare your website to other highly ranked competitor websites we can see a much clearer picture of how much work it’s going to take for your own website. What specific keywords they are targeting. This information is then used to formulate a roadmap for your own website. If we can see exactly how the first, second or third ranked sites in your area have attained their ranking it’s not rocket science to reverse engineer that and apply the same actions to your own website. It takes professional expertise to understand what the reports say, and which moves are the best moves but a good SEO consultant can be your best weapon when it comes to getting your fair share of the traffic away from your competitors. These in-depth analysis take hours to compile and research. The software we use is also expensive and requires a monthly subscription to use. Analyzing your competitors websites is a necessary part of SEO and will consume several billable hours. This can also be an on-going expense if you have stiff competition. Does Your Local Business Website Have a Google Penalty? After many hours of work (and several weeks waiting) we were able to get the manual penalty on this clients revoked. he had hired a shady SEO firm to rank him higher. It ended up backfiring. If you’ve had a website for several years and noticed your rankings drop significantly over 2013 and into 2014 it could be that your website has a Google penalty. This is actually becoming very common, because companies who were hiring SEO’s a few years ago couldn’t anticipate the recent changes to Google’s algorithm to combat the spammy tactics employed that were ruining search results. Companies that were once ruling the search results pages now find themselves scrambling to even be found. Their website traffic dropping off into the abyss. An Algorithmic Penalty – The only way to fix this is to address whatever issue your website has. If it’s content related, or over-optimized. We could write an entire article about this. A Manual Spam Penalty – If you’ve hired a shady SEO company who practiced black-hat optimization techniques (not good) then you could very well have a manual penalty on your website. These are difficult to deal with. How can you find out if your website has a Google penalty? Your first clue would be a sudden ranking drop. From a page 1 listing to off-the-map completely could definitely provide a clue that something is not right. The first step is your web consultant will want to get your website verified through Google Webmaster Tools. If your website has a manual penalty it will be displayed in your Webmaster Tools. If your website is suffering from a Google penalty then your Internet Marketing campaign just got more expensive. By a substantial amount, unfortunately. Once the penalty is discovered it could be hundreds or thousands of dollars to fix depending on how bad it is. Sometimes it is cheaper to build a new site, on a new domain. 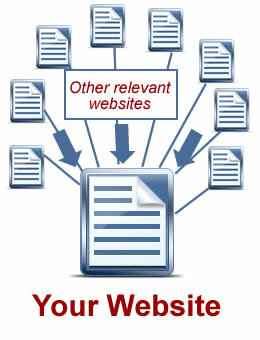 One of the ways a search engine determines your important is by analyzing the backlinks to your website. A backlink is simply another website, or blog that links to your site. For small local businesses there are several places that you will want to get your business listed in. Some are free, some are paid but in either case there will be several hours of time spent sourcing these appropriate backlinks for your business. What Are The Best Backlinks For a Small Local Business? The best way to find good quality backlinks is to analyze your competition who are already ranking high in search. We see where they have acquired their links from and then simply replicate the roadmap. Successful websites leave a trail behind them you just have to know how to follow it. While this strategy is very effective at improving ranking, if done incorrectly your site can get penalized by Google for unnatural link practices. This is common when SEO’s get in over their head and try desperate measures to get a client ranked, or the client just chose a shady firm to begin with. Your SEO campaign will consist of several hours sourcing appropriate backlinks for your business. Not all trade directories and local business directories are free either so you’ll need to take these fees into account on top of your SEO consultants time spent. 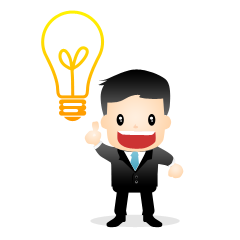 This page links our clients customers to their review profiles with simple instructions. Search engines like Google, Yahoo and Bing use your online business reviews as a local ranking signal. If you’re not implementing a local reviews strategy with your business you’re going to be playing catchup and that’s not fun when it comes to business. You should be encouraging your customers to leave positive reviews on your online business listings. This would include such places as Google+, Yelp, Facebook and more. These profiles will all need to be setup (properly) and then integrated with your website in the form of a “reviews page” like the one pictured in the example. You can direct your customers to this page on your website that provides the instructions on how they can leave a review for your business. If they are a @gmail user then your page directs them to Google. If they are a Yelp member then it directs them to Yelp and so on. 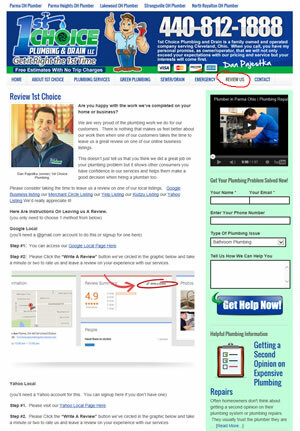 Reviews Tip: Every business should make a goal of getting 5 positive reviews on their Google + listing. By doing so you’ll get the coveted 5 gold stars next to your listing. A good SEO consultant will spend 3-6 hours developing your review strategy. Search Engine Optimization is useless if you don’t have a roadmap showing where you’ve been, where you’re going and how you plan to get there. We use professional grade software that helps us monitor and track our clients websites search ranking. We can monitor specific keyword phrases and see where exactly your website ranks and if/when it moves up or down we can clearly see. 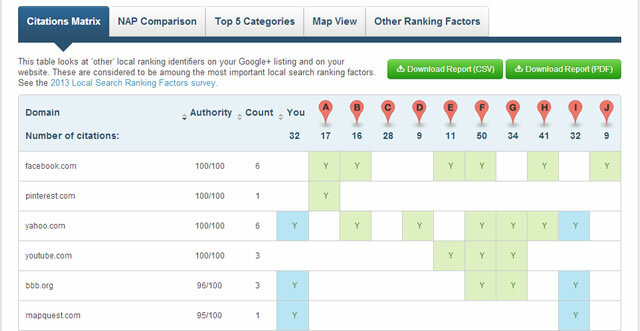 We can see exactly where you rank in search engines like Google, Google Local, Yahoo Local, Bing, and Bing Local. Yeah, that’s 6 different search engines. These reports help us identify specific keywords that we need to try and work on to improve your ranking. Changing specific keywords to track. Interpreting the data into meaningful improvements. These reports are usually updated on a weekly basis and sent to the SEO consultant and to the client in a PDF file or they can view it online. Detailed tracking and reports like these cost time and money to produce. They aren’t created out of thin-air and your SEO consultant will need to pour over them and analyze the results. This eats up hours of billable time. 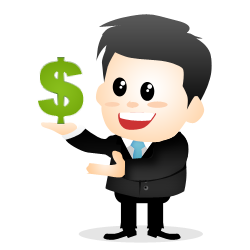 This will decide right here and now if Internet Marketing is an avenue you should pursue. If you’re a roofing contractor and a client is worth anywhere from $5000 – $25,000 or more then hiring a professional Internet Marketer might be very profitable for you. If you’re trying to sell your new widget you’ve invented on the Intrawebs and your profit margin is only $25 dollars a unit then Internet Marketing “might” be worth it to you, but it’s going to be a looong expensive road to get the traffic you need to make any money. That’s the honest truth. Generally if you provide a local service and the value of your average sale is $300 or more (preferably in the thousands) then Internet Marketing would be a good investment for your local small business. If you’re not the business that’s being found in search then it’s one of your competitors who is. You can bet you’re leaving money on the table. 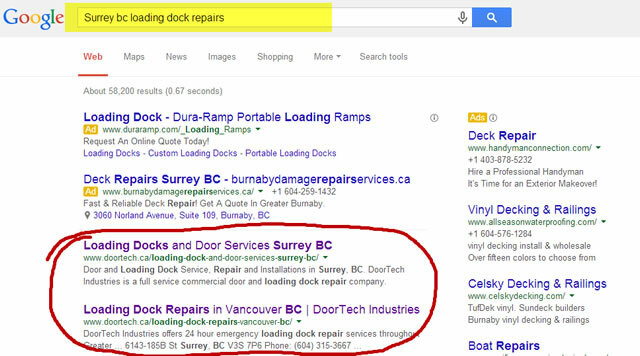 Who Provides Internet Marketing and SEO Services in Qualicum Beach and Parksville? Qualicum Beach Web Design specializes in more than just web design. We are also SEO experts in Organic, Local and even Paid Search. If your local small business is getting crushed by your competitors in the search engines then we can help you come back swinging. It starts with a properly optimized website filled with awesome content and then with a little whitehat optimization techniques sprinkled in, your website will begin attracting more local traffic. If this all sounds good to fill out the contact form on the upper right and let’s get your free consultation out of the way.